Harbor Point Vacation Rentals hosts a number of vacation rental homes that are dog friendly so, go ahead, pack up Fido and hit the beach! 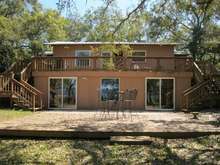 Recently updated 3 bedroom 2 bath - Gulf Front, Pet Friendly...Perfect family getaway! 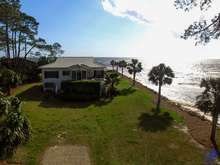 Spacious 2 bedroom 2 bath on quiet part of the bay, with observation deck on water's edge. 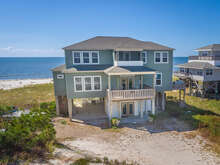 Clean and vibrant ground level "Old Florida" beach cottage with a large screened porch perched right on the sand. Accepting reservations for all seasons, including winter 2020. 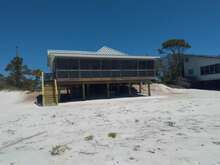 Largest Beach Front Rental on Alligator Point. 7 Bedrooms!! 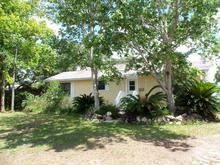 Budget friendly ground level home on Alligator Harbor. 3 bedroom, 3 bath - Pets Welcome! Get a taste of the good life in this secluded getaway! 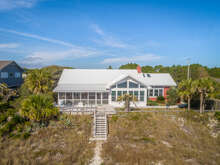 This 3 bedroom 2 bath is the last beachfront house on the west end of the Point, neighboring Phipps Preserve. 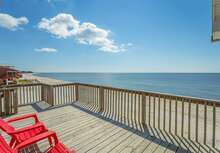 Spacious 2 bedroom 2 bath beachfront home. Ground level, with screened porch and large sundeck! Three bedroom, beach front home. Quiet beach. Cute Bald Point beach cottage. Perfect spot for a quiet retreat. 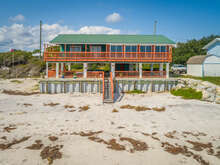 Comfortable beachfront 2-bedroom, 2-bath on Alligator Point. Great views from the entire home. Pet-friendly.